Donate truck to charity, Much easier than selling! Truck donations accepted all 50 states!. Donate truck and enjoy a fair market value tax deduction plus free towing anywhere in the USA. 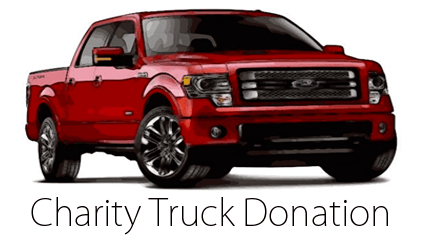 Donate a truck to charity today! From junk trucks to everyday drivers we are here to provide you fast free pick up and full donation service once you’re ready to give. With seven-day a week transport services available for truck donation you’re sure to find a time that works best with your busy schedule to give back. We even offer after-hours pickup to accommodate our busiest donors. Donate your truck running or not and lock in federal savings today while providing a second chance and new reliable vehicle for someone in great need. Ready to give back now? Complete our form below or call today.